Harrison Query will write the script for the adaptation. Cross Creek Pictures, one of the producers behind Hacksaw Ridge, has preemptively picked up The Spy’s Son, a pitch package from Harrison Query. Scott Glassgold’s Ground Control Entertainment is producing along with Cross Creek’s Brian Oliver and John Doherty, as well as Celerity Pictures’ Jay Schuminsky. Jarod Einsohn will act as a co-producer. 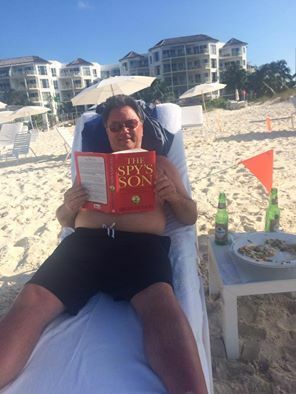 Spy’s Son is based on Bryan Denson’s best-selling 2015 book, which tells the true story of a high-ranking star CIA officer who was brought low when he was caught selling secrets to the Russians. But he then embarrassed the U.S. government when he did it again, this time from behind prison bars. What the imprisoned officer did was use his son, training him in the ways of spycraft, to continue to spy for Russia and to even ferret out the mole that ratted on him in the first place. Denson is an Oregon-based reporter who covered the father-son espionage trials. One of Portland's wonderful independent book stores named The Spy's Son one of its top 5 bestselling books for March 2017. Click here for the notice. Read the December 8, 2016, story by Kim Himstreet here. 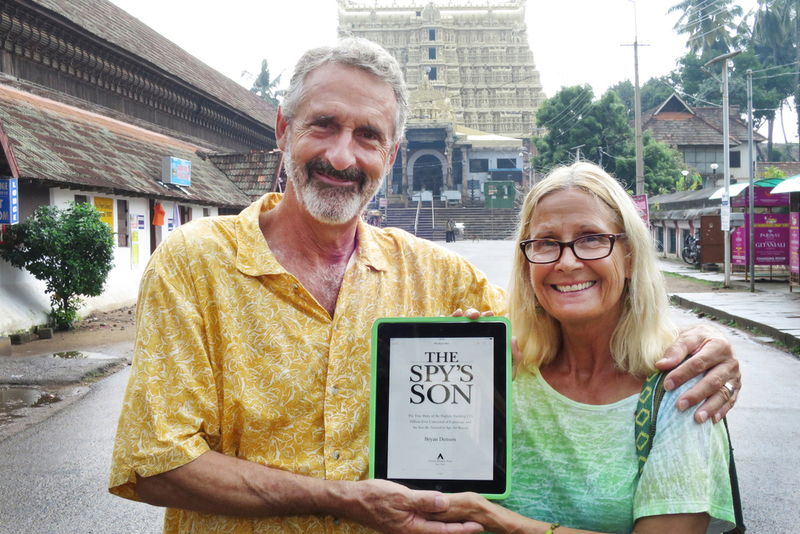 Nearly 16 months after publication of The Spy's Son, Book Safari named the Kindle edition one of its Bargain Best-Sellers. The electronic edition shot to No. 1 on the Amazon site for true-crime/espionage books, cracked the Top 20 among nonfiction books, and finished the day at No. 264 of all Kindle books, in all genres. The Trade Paperback Has Arrived! Larry Lepus, my longtime running buddy from Baltimore, sports copies of The Spy's Son and the debut novel by Stephen Kelly (my best friend on Planet Earth), in London, September 2017. 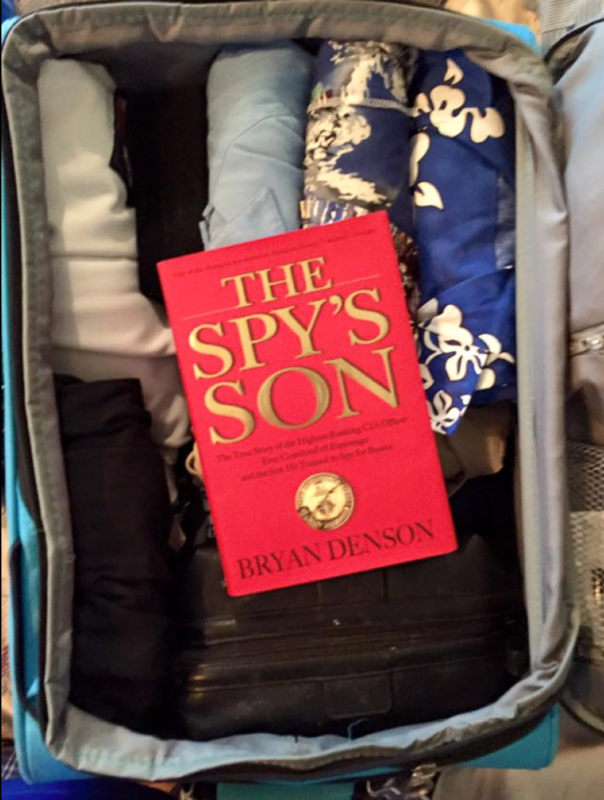 I am blessed with so many friends who traveled the world, literally, with copies of The Spy’s Son, shooting photos as they went. The book showed up at the Kremlin, and on a plane to (or was it from) China. Beaches. Boats. Bookshelves. The International Spy Museum. Among the images are the Cliff Notes version of The Spy’s Son and a “double booking” (both courtesy of my old friend Paul Gilmore), a literal home-on-the-range reading in eastern Oregon (courtesy of Les Zaitz, the dean of investigative reporters in my adopted Beaver State), and my young friend Tessa (courtesy of Helen Jung). And let us not forget that the book (unlike its author) made its way into Harvard (thank you, Anna Griffin). I love all of you. Many thanks. Larry Lepus, longtime friend and running buddy and all-around good guy from Back in the Day, sports copies of The Spy's Son and the startling debut novel by Stephen Kelly, my best friend on Planet Earth, in London, September 2017. In October 2011, Reader's Digest ran a slightly condensed version of the original Spy's Kid newspaper series in The Oregonian, which was later greatly expanded into The Spy's Son book.